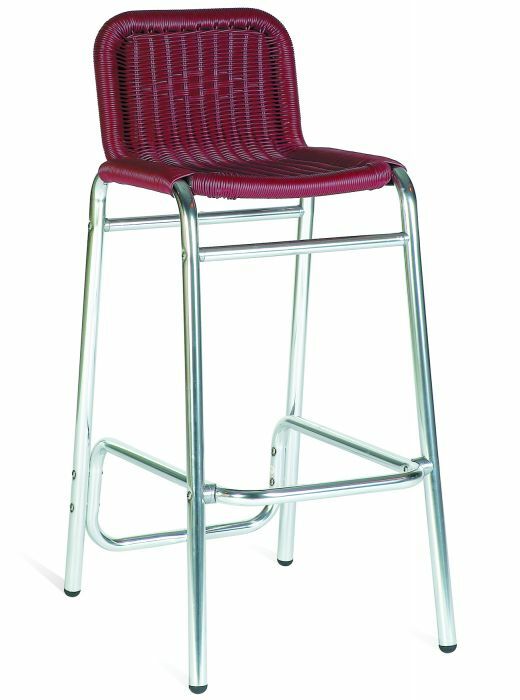 Outdoor Aluminium high stools with an imitation weave seat in a choice of five colours. Theses high stools are available from stock and are suitable for indoor and outdoor commercial applications. 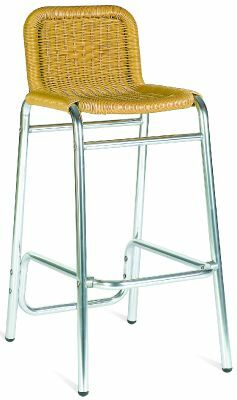 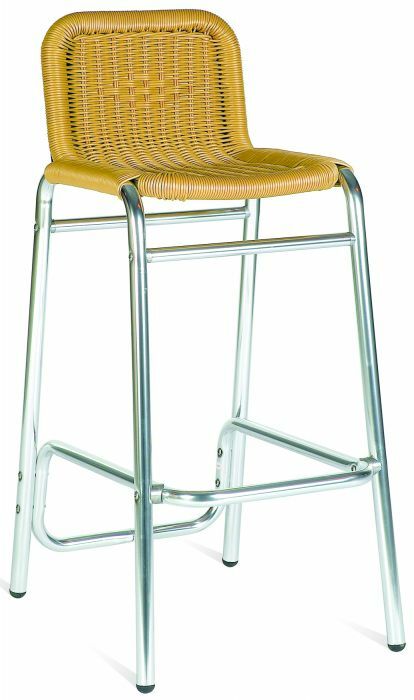 Bar stools with an aluminium frame and rattan effect seat and back suitable for outside use.